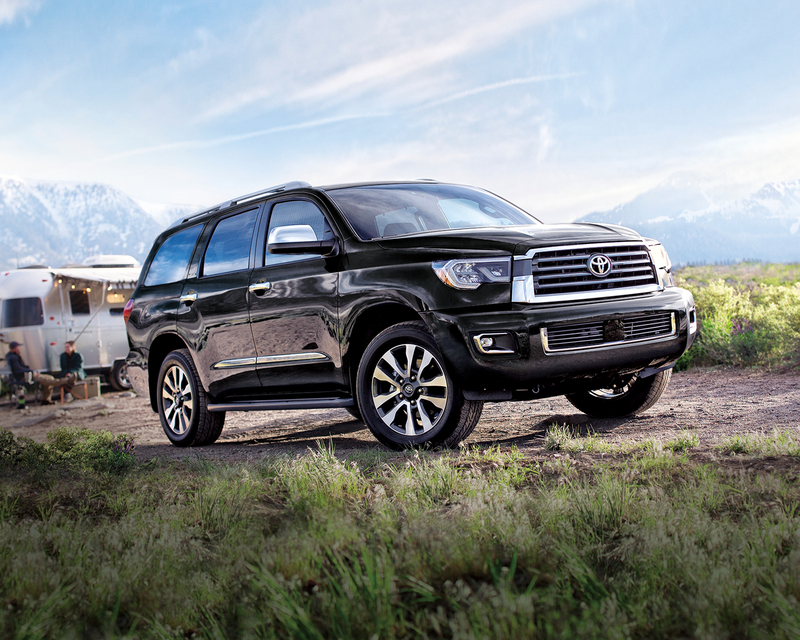 Ready for the road or an untried trail, the 2019 Toyota Sequoia takes you there in comfort and style. This large four-door SUV provides an athletic design with a spacious interior for seven. Choose from three trims: SR5 5.7L, Limited 5.7L and Platinum 5.7L. 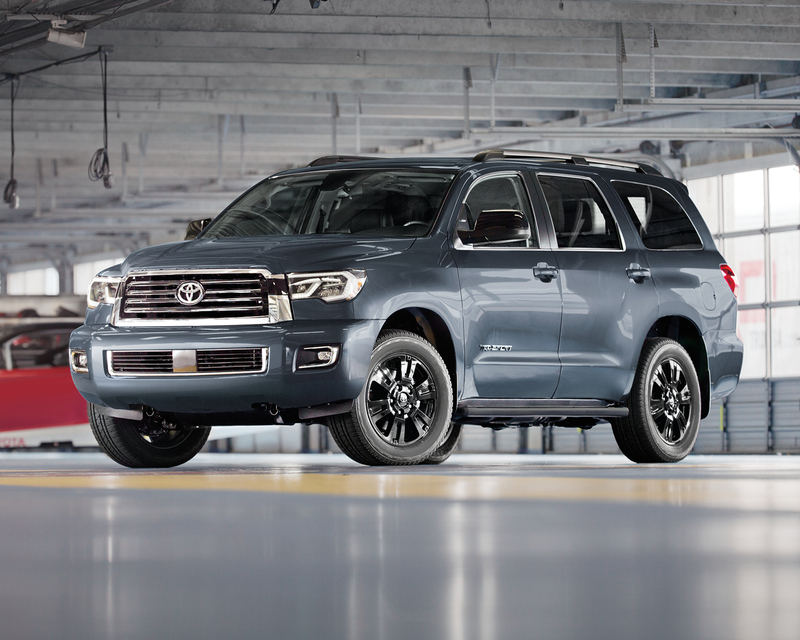 Eye-catching design for the 2019 Toyota Sequoia begins with the aggressive stance and muscular curves while running boards and roof rails enhance the function of this SUV. Chrome mirrors, door handles and other accents contrast to the sophisticated colours available for a customized look. From Super White to Midnight Black Metallic, choose a shade to suit your style. Relax in the 10-way adjustable driver’s seat of the 2019 Toyota Sequoia with lumbar support for optimal comfort. Your passengers will be just as comfortable in the reclining middle row with captain’s chairs. Leather seating creates a refined cabin while folding down the rear seats gives you more room for cargo. Technology on the 2019 Toyota Sequoia is designed to enhance the driving experience. Automatic air conditioning creates the perfect climate for everyone with three separate temperature controls. Trust the backup camera to help you manoeuvre your way around obstacles. Easily read information on the 6.1-inch touchscreen which comes with USB audio input and integrated Bluetooth. Available voice-activated navigation enables you to find your way. Keep your passengers happy with the available rear DVD entertainment system with a 9-inch LCD screen and two sets of wireless headphones. Trust Toyota genuine accessories to work with your 2019 Toyota Sequoia. Add a block heater to get your vehicle warmed up quickly on those cold days. Protect your SUV and cargo with a cargo liner and net. All accessories are designed to work with the model for an accurate fit and function. Thanks to the 5.7L V8 engine, the 2019 Toyota Sequoia can handle all kinds of tasks. Easily switch into 4WD with one touch while the six-speed automatic transmission provides precise handling. When properly equipped, this model has a towing capacity of 3,200 kg. Add the towing package for a Class IV trailer hitch and 4/7-pin wire harness. The 2019 Toyota Sequoia continues the award-winning tradition of the Toyota brand. Feel safe when you drive the 2019 Toyota Sequoia with all its safety features. Drive with confidence in the 2019 Toyota Sequoia which is backed by Toyota’s impressive warranty. Enjoy the versatility of the 2019 Toyota Sequoia with its impressive power and capability. Along with premium comfort and safety, the rugged style of this SUV proves it can handle the most active lifestyles. Learn more about what the 2019 Toyota Sequoia has to offer when you come out to see it at your local Edmonton Toyota Dealer – Gateway Toyota. Check it out when you take it for a test drive and discover how it fits your family or adventuring life. 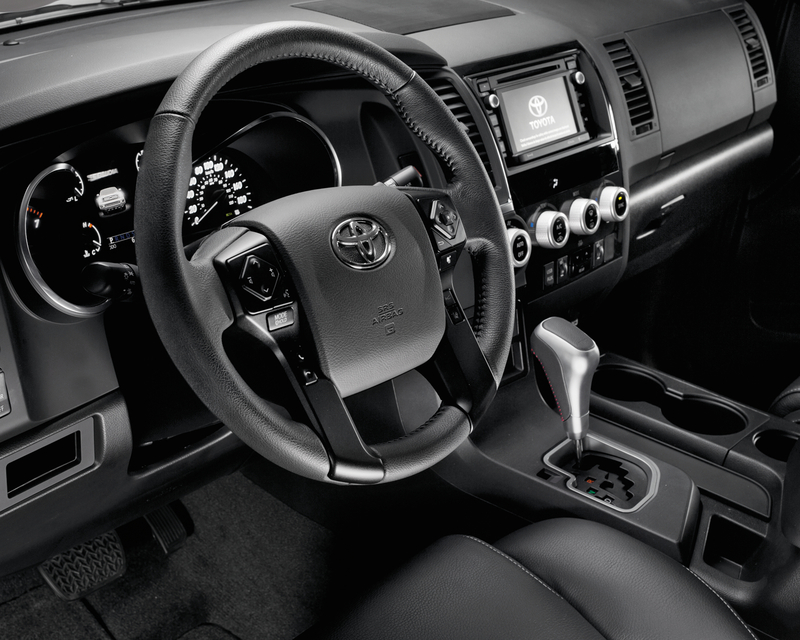 Trust Gateway Toyota to put you behind the wheel of a fabulous SUV today.